Objective: To unearth disruptive ideas and theories in emerging technologies identified by DRDO for improving defense capabilities. Should be Citizen of India above 18 years of age. Start-ups controlled by Indians and recognized by DIPP. (b) short-listing and standing by Independent Expert Committee. An individual having startup may apply in the capacity of Personal in addition to Start-up. An individual or start-up can apply for more than five areas of challenge. Provide a write-up of 500 words for each challenge selected. Pitch your invention – what you mean to address and how. Summary: Provide an executive summary of your innovation, and how it would impact the future of the scientific world in circumstance. This will form the basis for the judging panel to evaluate your entry. What you areI: f you are a Startup, tell us about your organization, the areas you work in. What are the goals of your business, and how are you planning to achieve them? If you’re an individual innovator, inform us about your professional self and how you intend to make a difference in the future. Plan of Action Provides information in detail how you would transform your thought into a product of usefulness, the resources on hand, the resources required, the timeframes, the constraints foreseen and some other additional requirements. The benefit Briefly tell us how your innovation will benefit the Defence and Aerospace, and when. What you would do In the event you are shortlisted for the battle prize, what do you intend to do with the prize money? Anything else Give details of any other information you want to provide or would like to seek. The write up should either be filed in Hindi or English. No reference of the identity of the person submitting the proposal ought to be made in the proposal. If done so, it shall lead to the entrance getting rejected. It is strongly advised not to wait till the closure time for submission of entries. DRDO/Organiser shall not be responsible for late/ non receipt of entries due to server errors/ traffic. The conclusion of the Domain Expert Committee/Independent Expert Committee will be final. No communication will be entertained into with any person in relation to any decision of the committee or procedure. All prizes will be awarded and paid in INR to winners throughout Cheque or ECS only. Taxes on Prize Money would be the sole responsibility of the winners receiving prizes. Prizes may be subject to tax reporting and other purposes. Applicable winners agree to provide Organizers with any essential information to affect the exact same and to fully cooperate in fulfilling all applicable legal requirements. By making a submission in the contest, all applicants warrant and represent it to the best of their knowledge, their entry is original and does not violate or misappropriate any third party trade secret,”know-how,” copyright, patent or another intellectual property right. Applicants also warrant and represent that we have no obligations of any nature, legal or otherwise, which would prohibit, restrict, or interfere with their participation in the Competition or submission of the proposal, and consent to acquire any necessary clearances, authorizations and/or approvals before participation. Applicants, by submitting an application, grant DRDO/Organiser and its affiliated units/ ministries all rights to reproduce, distribute, a display for the purposes of evaluation of the Proposal and to publish applicants name or alias in connection with this Challenge. Whilst DRDO/Organiser shall take all feasible measures to guarantee the protection of intellectual property, applicants should not include technical details to a degree which could influence their capacity to protect and, at some future point, exploit their Intellectual Property through documented rights. Contain material that may be considered as defamatory, libellous, hateful, racially or religiously biased or offensive, threatening or harassing to any individual, partnership or corporation;Violate any statutory provisions. Any reduction in anticipation of profits by applicant. Applicant agrees to defend, indemnify, and hold Organizers, DRDO, members of Evaluation Panel, Selection Committee, supporting organizations harmless against any loss, cost, liability, and expense (including reasonable attorneys’ fees) arising from any action or claim brought or threatened against Organizers, DRDO or members of Assessment Panel, Selection Committee, supporting organizations or its clients alleging that any of the applications filed, short listed and or chosen, infringe any patent, copyright, trademark, trade secret, or other intellectual property rights of any third party, and or if Organizers, DRDO or associates of Assessment Panel, Selection Committee, supporting organizations suffers any injury, damages or loss by breach of the warranties mentioned above. All of the information received during this Challenge including but not limited to scores, business plan summaries etc. will remain confidential and shall not be disclosed to any person or entity by any party thereto and can’t be revealed outside the Program organizers, encouraging organizations of DRDO. DRDO/ Organizers may alter the Terms and Conditions of participation at any time without prior notice. The amended Terms and Conditions will be effective immediately upon being posted on the site. It is aplicants’ sole responsibility to regularly visit the site to read any modifications to the Terms and Conditions of the Challenge. 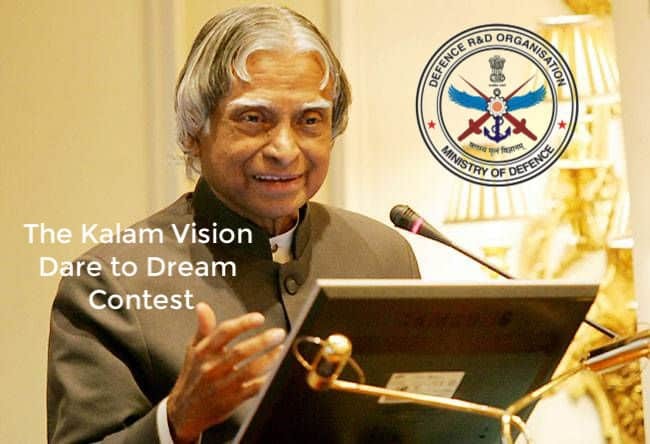 DRDO or any of the supporting organizations will not incur any costs for applicants participating in the Challenge nor entertain any claims for exactly the same except specified above. WHY CAN’T YOU HELP THE BIOMEDICAL SCIENTIST JOIN TO DO COLLABORATIVE WORK. THOUGH WE ARE QUALIFIED WE ARE NOT RECOGNISED AND GIVEN PROPOTIONS OR UPDATED IN THE CAREER. AS WOMEN WE ARE UNABLE TO COME OUT WITH GREAT DIFICULTY OF GETTING A QUALIFIECTION AND HARD WORK IN SOUTH INDIA.